Little Witch Academia: Chamber of Time is a side-scrolling action RPG based on the hit anime series, which follows a young girl called Akko and her enrolment into the Luna Nova Witch Academy. 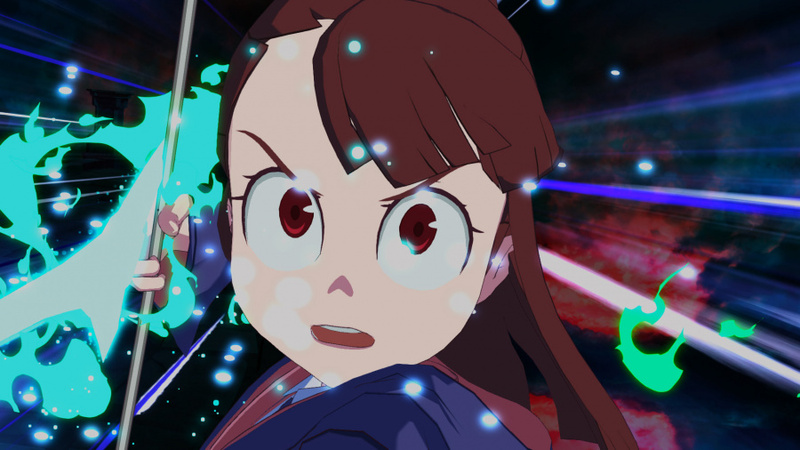 Unfortunately Akko doesn’t really have much magical ability, but what she lacks in power she makes up for with an endearing passion, tonnes of heart, and of course an abundance of clumsiness. It’s summer vacation at Luna Nova and as usual Akko is in trouble with Professor Finnelan. Her punishment is to spend the summer tidying up the library. It’s here that Akko and her friends, Sucy and Lotte, discover a mysterious hidden room, and inside is a strange clock and an even stranger dungeon. 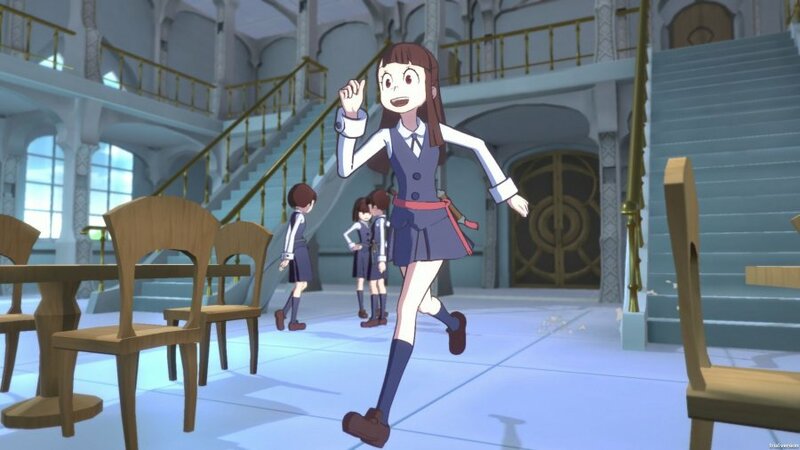 Of course, Akko can’t help but touch things, and this leads to a series of events where the day begins to repeat itself over and over. Akko and her friends will need to investigate this enigma or else be trapped forever in the first day of summer. Chamber of Time is an original story, written specifically for the game, and while the game does give a brief introduction to each of the main characters, things will make a lot more sense if you’ve watched at least the first few episodes of the anime. The first thing you’ll notice is just how well the game manages to capture the aesthetics of the anime - running around and exploring the school is sure to bring a smile to fan faces. 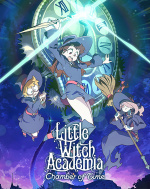 The animation of the characters is top notch and their quirky personalities really shine through; watching Akko sigh and shake her head or Sucy giving one of her classic creepy grins is awesome to see. The soundtrack to the game is also sublime, and the characters are fully voiced by the same Japanese cast as in the anime. Gameplay is broken into two distinct parts – you’ll spend a lot of your time wandering around the school to progress the storyline, while also fighting through plenty of dungeons. When exploring the vibrant dungeons you’ll be able to take a party of three with you – and you control one of the characters while the computer controls the other two. Your aim will be to get to the end of the dungeon while beating up every living (or undead) thing you come across. Each character has three basic attacks with differing strengths and ranges. You’ll also be able to use spells to quickly decimate a whole screen of enemies. Things would be a little too easy if you could constantly wipe out everything with one spell, so it’s good that there’s a cool down period on these abilities. You can also equip spells to your AI companions, but unfortunately you have no control over when they use them. Some of the characters tend to run out of MP pretty quickly, although thankfully, it does slowly regenerate over time. 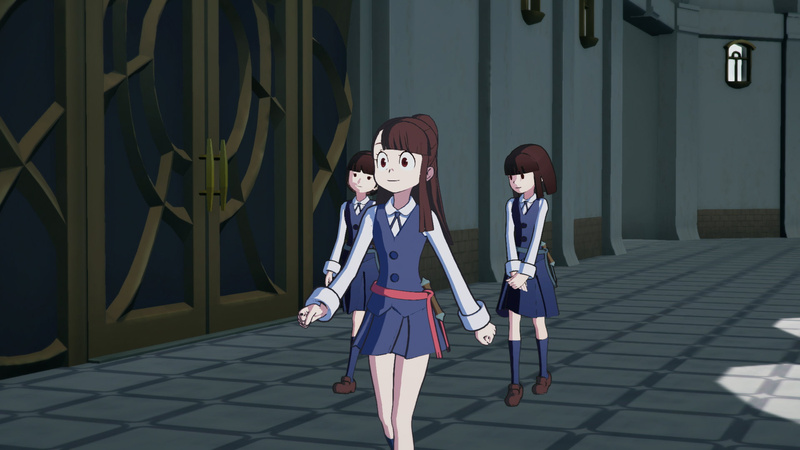 You don’t have to play through the dungeons just controlling Akko – there are plenty of other characters you can choose to lead your party with the likes of Sucy, Amanda, and Diana freely available to select. Each character plays slightly differently and also gets different unique spells as well as innate abilities. It’s great to experiment with different characters and find a party that works for you. Fighting through the dungeons is addictive, as they’re filled with plenty of traps, copious amounts of monsters, and an abundance of loot. You’ll feel real progress after completing a dungeon as you’ll be able to level up and do things like decide how to distribute skill points as well as upgrade spells and equip new accessories. When you’re not beating the living daylights out of monsters you can instead choose to explore the school. While the main reason for running around Luna Nova is to investigate the mystery of the time-loop there’s also a hefty number of side quests to get stuck in to. There are the usual fetch quests but also some interesting side quests where you’ll need to take full advantage of the infinite time loop. Time moves forward while you roam around and this is handily shown by a clock in the top left-hand corner of the screen. When it gets to midnight time instantly rewinds to the beginning of the day. Some students and teachers are only around at certain times and you might only find out how to resolve someone’s problems after they’ve already gone to bed. This means that you’ll need to plan out your time efficiently so that you’re in the right place at the right time with the right items in order to resolve things. It’s an interesting and novel system, although it can sometimes feel a bit overwhelming due to the sheer number of side quests, and having to remember what you need to do in each specific location within certain time frames. Another negative point that should be noted is that the game does seem to suffer quite frequently with frame rate drops. Rather bizarrely, this isn't very noticeable when in the middle of frantic combat, but instead seems to happen frequently when walking around the school. 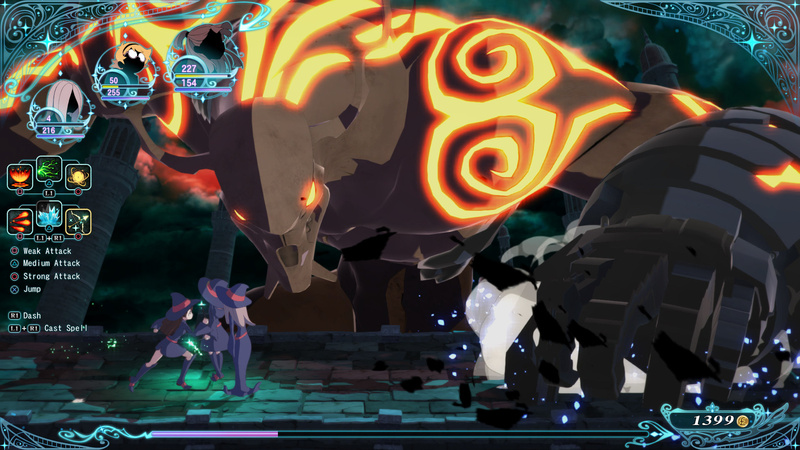 Overall, Little Witch Academia: Chamber of Time is a fun game, and if you’re a fan of the series then it’s definitely worth checking out. You can tell that loads of effort has been put towards the beautiful cel-shaded graphics, and the magnificently animated cutscenes. While the story pacing can be a little slow in places and combat is a tad on the easy side, it definitely makes up for this with oodles of charm. Little Witch Academia: Chamber of Time manages to capture the essence of the anime brilliantly. 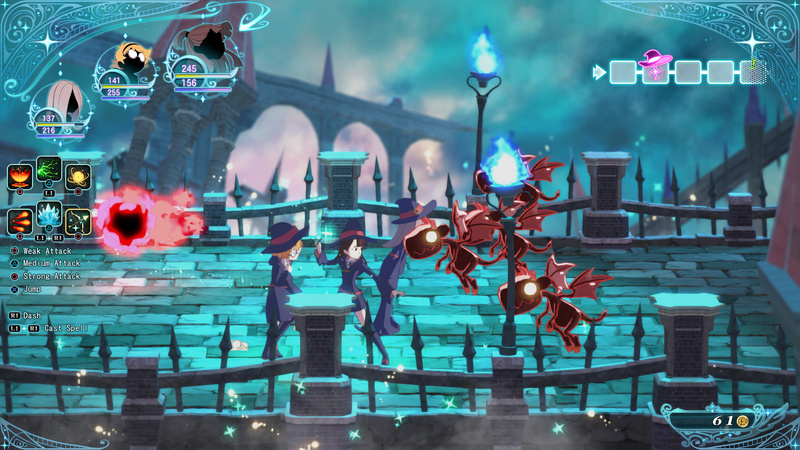 There’s plenty of fun to be had exploring Luna Nova as well as all the various dungeons. Some slow story pacing and frame rate drops let things down slightly, but if you’re a fan of the series, you should definitely pick this up. It's nice to know this is a good game. I was looking forward to it, but was wary that it would turn out to be some cheap cash-in. I'd also recommend the show to anyone who isn't severely allergic to anime, it's nice and wholesome entertainment. Looks promising. Kinda like this review a bit more than Destructoid's somewhat harsh review. The game still kinda a bit of a middle road but as a LWA fan, I'll be getting this game once they lowered the price. I do hope that they make more LWA games...just please let it be a turn bases rpg. Also, is this game more serviceable than Seven Deadly Sins? Both games aren't the same but they are based on a popular netflix anime and both were distributed by Bamco. The reason why I'm asking this is because well, Seven Deadly Sins' fanservice was really underwhelming. So I'm hoping that this game delivers justice for the source material. I was going to buy it regardless, but it's always good to get more info. @Jenny_Jones How long would you say the game is, the single-player stuff? I wanted this, but I was hoping for a physical release. @Jenny_Jones Wow, 40 hours?! That's much longer than I expected. I'm downloading the demo right now, to have a go. Great review,this is one I've been interested in but to be honest I wasn't really expecting a score as high as that. This definitely sounds like my kind of game but not ever seeing an episode of the anime it sounds like I'll miss a few things. Thanks for the review! Will definitely be picking this up at some point! Tried the demo, a rather lengthy one (another plus), and decided to get the game. There's lots of dialogue and voiceating, it really does feel like its own organic thing, as if the animators themselves made the game. A very positive first impression. I was interested until I read no English voices, so sadly I will be passing on this. I don't use Netflix or any online subscriptions so i miss out on a lot of the newer anime shows, i wish they were shown on Sky, i've heard lots of great feedback on this one. @ToddlerNaruto Same here! Rats, no dub! It's not important for every Japanese game, but in this case, it loses its congruence with the anime! Guess I'll wait for big price drop to make up for it! 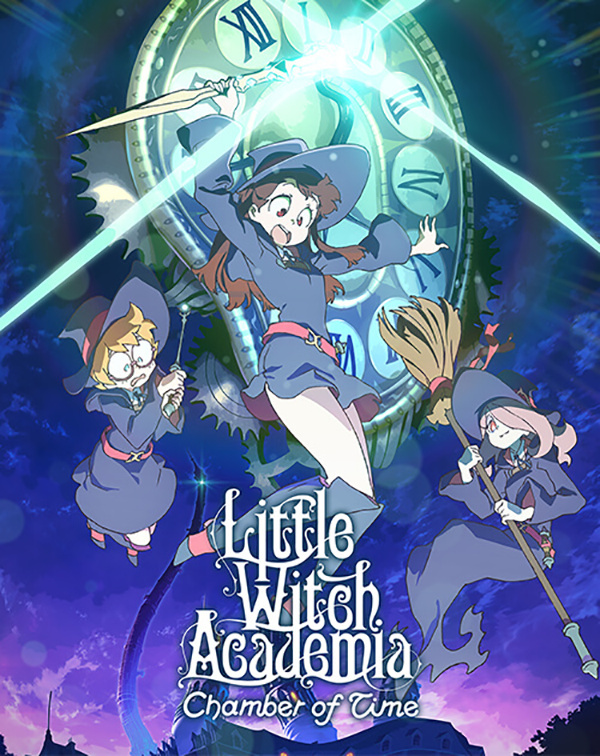 I never could get into My Little Witch Academia but I'm glad it's good enough for the fans. @smelly_jr I heard it's not that great of a game anyways, more of a cash grab outside of the story/plot. Same, will be waiting for the game to hit $10-$15 in a few years. I love this anime shame that this game doesn't do justice.